Elgin County, Ont. (January 2019) — Improvements at a popular wildlife viewing site, north of Lake Erie, are expected to attract more migratory birds, especially shorebirds, next spring. “We are excited about the habitat improvements and additions because we anticipate increased biodiversity and wildlife viewing opportunities for the community,” says Ron Casier, manager for the Elgin Stewardship Council (ESC). Future plans include improved pollinator habitat and a new osprey nesting platform. In 2020, the smaller wetland cell known as Heron Pond is slated for a “drawdown” to facilitate repairs and habitat improvement. 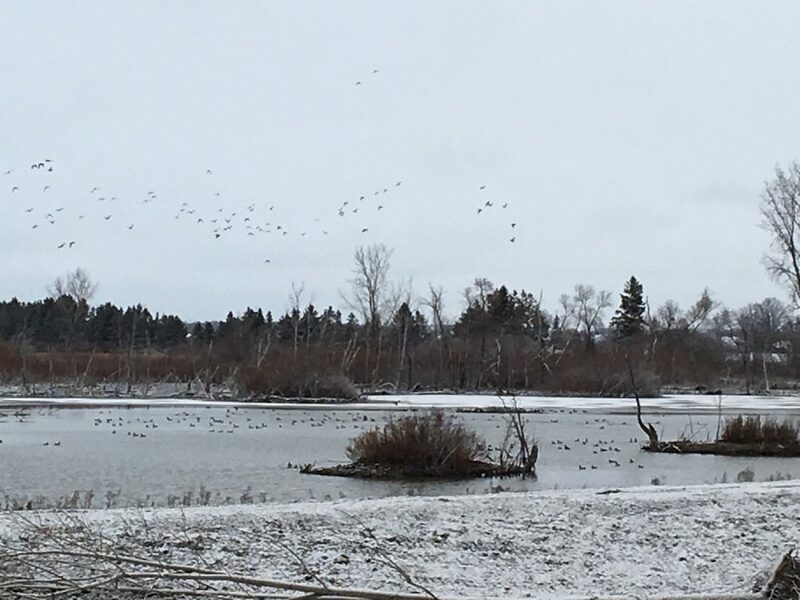 Working with the MNRF, DUC’s team in Ontario is delivering large-scale wetland conservation as a natural infrastructure solution to erosion and excess surface water run-off. Since 2017, DUC and its partners have delivered more than 100 projects under the Lake Erie Watershed Wetland Initiative to capture phosphorus and other nutrients in wetlands that filter surface water before it travels downstream. Elgin Stewardship Council’s objective is to search out, initiate and oversee projects, such as wetlands, tallgrass prairie, and native tree and shrub planting, by making available “matching funds” to carry out initiatives supported by the Council. The volunteer Board of Directors is made up of 14 residents of Elgin County, at least half of whom must be rural landowners. Members represent rural landowners and community and non-government groups. Advisors to the Council are drawn from MNRF and the local Conservation Authorities.